In the age of jet travel, with distant parts of the world being drawn ever closer together, the lot of the criminal on the run becomes harder and harder. It is not only in travel that speed has become an additional threat facing the wrongdoer. Communications have also improved, in distance and in reliability, and this aid to detection is now also more widely used. An example of this latter development was seen in a recent episode of ATV’s “private eye” series “77, Sunset Strip”. In his air-conditioned offices in the heart of Los Angeles, Stu Bailey, senior partner in the private investigation company of Bailey & Spencer, suddenly found himself in need of vital information concerning a case on which he was working. He heard of a lead from a similar case reported in Honolulu. In a matter of minutes he had made contact with his Hawaiian opposite number, Tom Lapaka (one of the “leads” in ATVs detective series “Hawaiian Eye”). The information he wanted was readily available and another piece had been fitted into the puzzle he was trying to solve. Science has made possible this co-operation at great distance; but this incident also served to show the vastly different settings in which the stories told in two of the most popular series to come to the television screen are acted out. For it is a far cry from the air-conditioned suite of offices where Stu Bailey and Jeff Spencer, “Rookie”, “J.R.” and the inimitable Roscoe -not forgetting the glamorous Suzanne — operate and have their headquarters to the tropical setting of the South Sea islands of their “Hawaiian Eye” counterparts. Traffic passes outside the office in Los Angeles, bumper to bumper, but the pace is more leisurely in Honolulu. Being active businessmen as well as investigators, Bailey, Spencer and company must conform to wearing business suits. It is only when their inquiries take them “south of the Border” that they can exchange jackets and trousers for bush shirts and shorts. The order of dress for Tracy Steel and Tom Lapaka, however, is much more casual: their wardrobe consists mainly of linen suits, multicoloured “hot shirts” and panama hats. When pressure of business demands some relaxation, the office staff at No. 77 have the nearby cocktail bar and restaurant of Dino’s in which to relax, there to listen to all that is latest in modern jazz, played by the resident trio. Down Hawaii way, Tracy and Tom have their own swimming-pool, built into their office compound, and when the atmosphere surrounding a case starts rivalling the mounting temperature outside a cool plunge into the pool, with a “header” taken almost directly from their desks, can do much to get even the most complicated piece of investigation into perspective. The pace they know out of doors is more leisurely —the climate demands this—and if road travel is almost as harassing as any Los Angeles driver has come to accept as being natural, the office’s pet taxi-driver, Kim, knows the back roads and unofficial short-cuts so well around the island that the two detectives are never likely to be delayed because of local, Hawaiian-style traffic jams. When a case has been successfully completed and there is time to relax — even to celebrate another job well done — the laughing voice of songstress Connie Stevens is always on hand at the club at which she works to add to the pleasure of the occasion. Connie plays “Cricket” in the series. She may appear madcap, with a quaint choice in hats, but she cannot hide the fact that she wears her heart on her sleeve for the two private detectives. That her typical woman’s jealousy has much to feed on is seen in the number of occasions when she must stand by and see her twin beaus become involved with some of the loveliest women ever to join a ship and sail south across the Pacific to romance, adventure and, sometimes, involvement in crimes of which they are the innocent victims. To such lovely maidens in distress the services of Steel and Lapaka are always available. Though at times they may seem to fall under the spell of these beautiful women, with the added inducement of tropical nights, balmy breezes and Hawaiian-style music, their surrender is never complete. For their agreed principle of “business first” always prevents too many lasting complications, which, of course, is very much to the liking of the ever-hopeful “Cricket”. Meanwhile, back at the “Strip”, the latest “77, Sunset Strip” series has seen Gerald Lloyd Kooksan III (“Kookie”, to the uninitiated) emerge as an investigator in his own right, with a distinct leaning towards using scientific methods of detection which no one who recalls the parking-lot attendant of two years ago with his undisciplined quiff of hair and a peculiar style of speech which earned itself the description of “Kookie talk” would have thought him capable. Certainly the two senior partners in the business have been surprised at the emergence of this “new Kookie” — but pleased, too, for here, now, is an additional and capable member of their investigation team. Stu Bailey continues to grow wiser and more handsome as the grey hairs collect around his temples. He is still prepared to fly to the ends of the earth in pursuit of a clue. 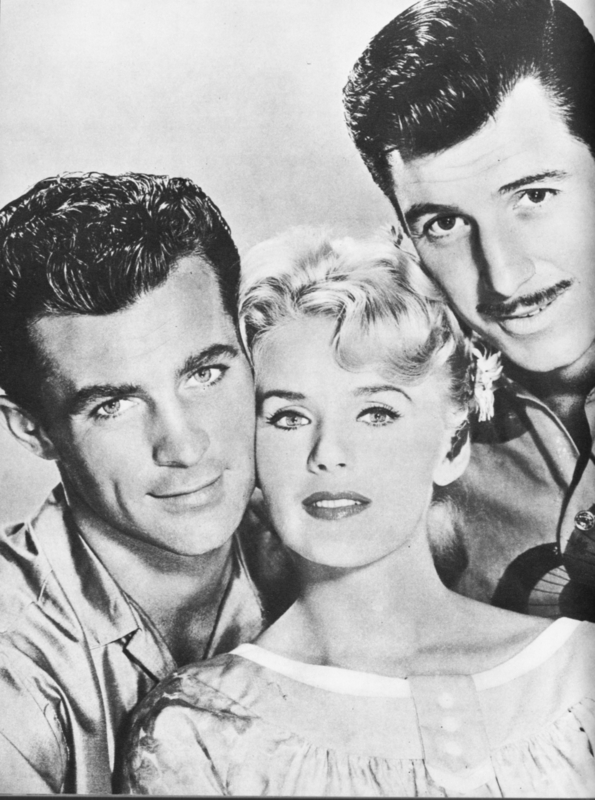 He still is given to setting female hearts a-flutter, but never finds the true girl (though Dorothy Provine came pretty close to providing the answer in one of this year’s stories!). When not on the job, Jeff Spencer continues his liking for strumming his guitar as an accompaniment to the Latin love songs which he learned in an earlier chapter of his life. Roscoe’s successes “playing the ponies” are no more marked than in previous years, though his contacts with bookies, race-track touts and all the other types of ne’er-do-wells who are attracted to the sport continue to be invaluable to the detective agency. If “Rookie” has grown up, then the “hot-rod generation” have found a new champion in the new odd-job boy in the firm. His liking for a conversation in which initial letters take the place of words may occasionally confuse and irritate his colleagues, but he has already proved himself to Stu, Jeff and “Rookie” to be a handy six-footer to have around in an emergency. Suzanne of the reception desk continues to blossom — in looks and in the more important parts she is given in the stories — which is a development to everyone’s liking. It is true to say that life and business continues to flourish at 77, Sunset Strip, just as it does, thousands of miles away, in Hawaii. There may be only occasional contact between the two organisations, but in one thing they have a common purpose: they provide excellent entertainment for British television viewers. And the vast correspondence which the two series — and the leading artistes in each — prompts from these viewers bears testimony to their popularity. 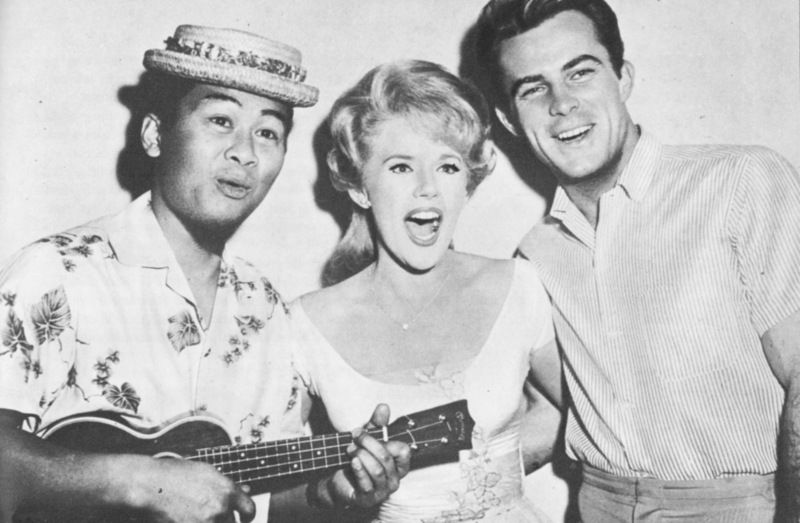 Both Hawaiian Eye (1959/63) & 77 Sunset Strip (1958/64), were both produced by Warner Brothers TV. 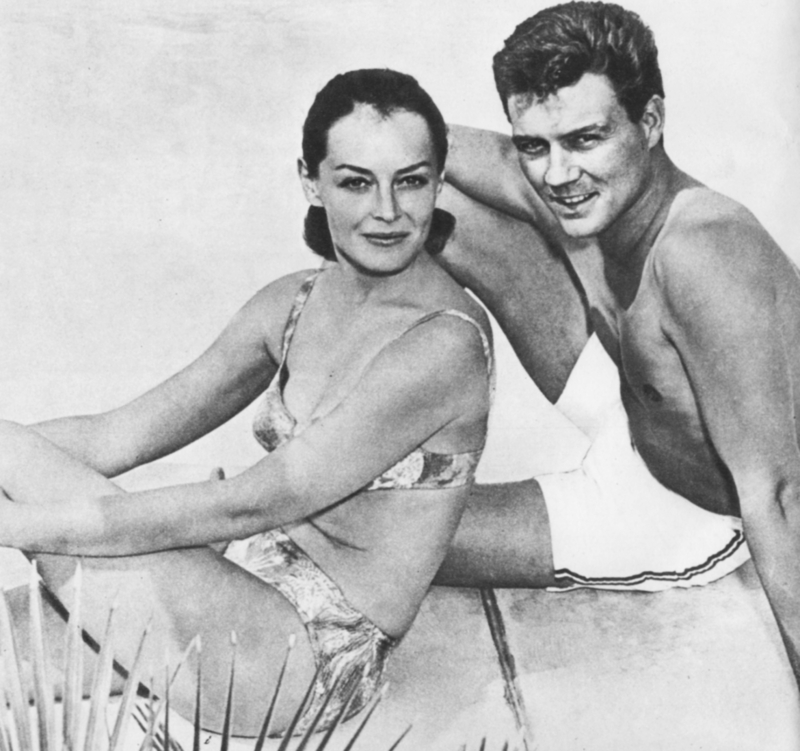 Hawaiian Eye ran for 4 seasons, whilst 77 Sunset Strip ran for 6 seasons. 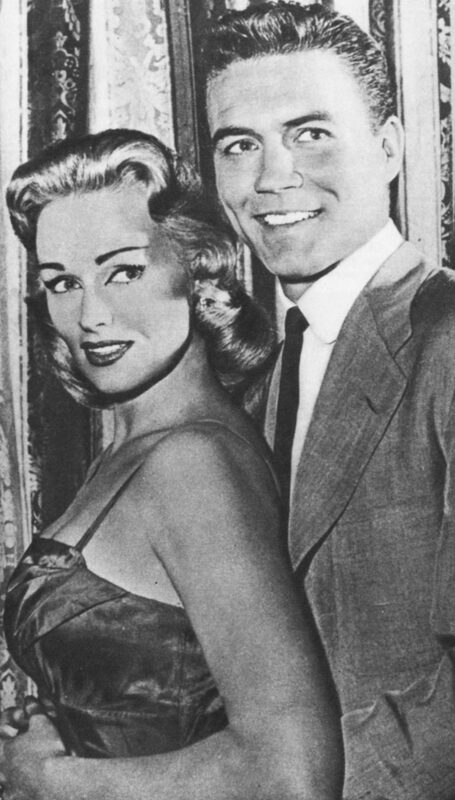 Efrem Zimbalist remained throughout the whole run of 77 Sunset Strip, his co-stars – Roger Smith & Ed Byrnes left the series at the end of season 5.